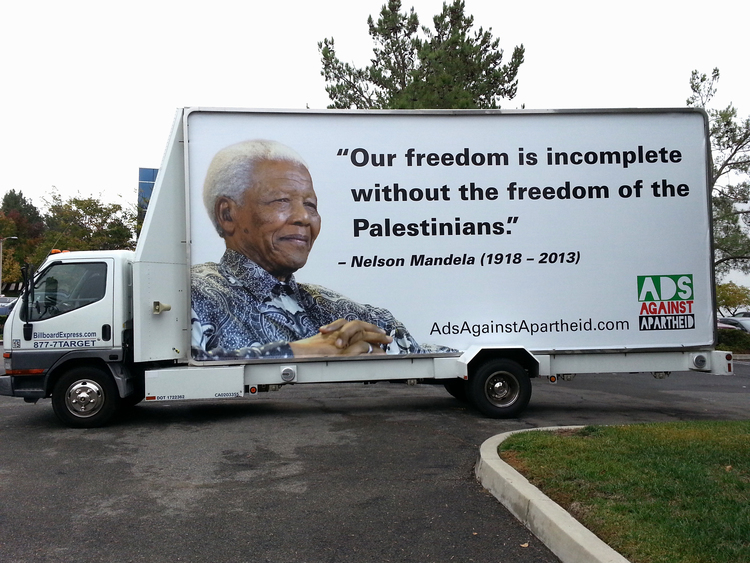 The Nelson Mandela Campaign was launched in December 2014. During this time, Palestinians, particularly those in Jerusalem, were facing intensified repression by the Israeli government including the excessive use of force by Israeli police, rapidly increasing settler violence and restrictions on Palestinians’ access to the Haram Al-Sharif (Temple Mount). Unfortunately, many of our ads in LA were vandalized, resulting in an early end to the campaign.